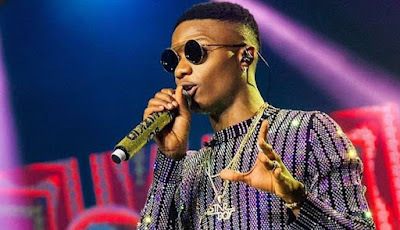 Vogue, an international fashion magazine, has affirmed Wizkid as Africa's hottest pop star. The magazine made this announcement at the inauguration of his shop in New York, United States. Twitter, @vogue magazine: "Wizkid, currently Africa's pop star by almost any measure, unveiled his new capsule collection in Manhattan's Meatpacking District," the magazine added. The Ojuelegba crooner also responds with his Instagram handle @wizkidayo "Thank you, Vogue"
The New York streetwear shop was restyled, floor to ceiling, in Wizkid's image, with a glass vault inscribed with "Star Boy." The 28-year-old super star and Star Boy's Entertainment has been in the game for many years.